Ladies and Gentlemen; the car I would give up ownership of any and all other vehicles for. Sometimes, the internet gifts us things. And today, it has delighted my senses the most beautiful car I’ve ever seen in my life. My favorite car...in the world. 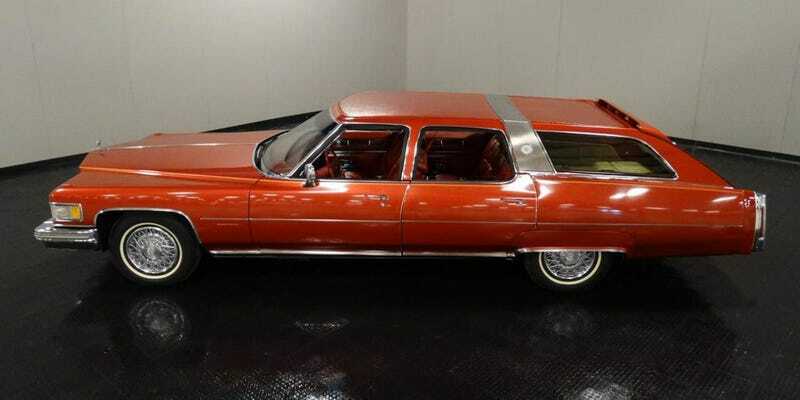 A Cadillac Fleetwood Castilian in my favorite color, orange, with a matching interior. If I had to pick one car to live with for the rest of my life, this would be it. Hands down, no questions asked, I don’t even care it doesn’t have the optional Astro-roof.